Alton Nolen, who goes by the Muslim name of Jah’Keem Yisrael, beheaded 54 year-old Colleen Hubbard in the front office of Vaughan Foods after he was fired. Nolen stabbed a second victim several times. 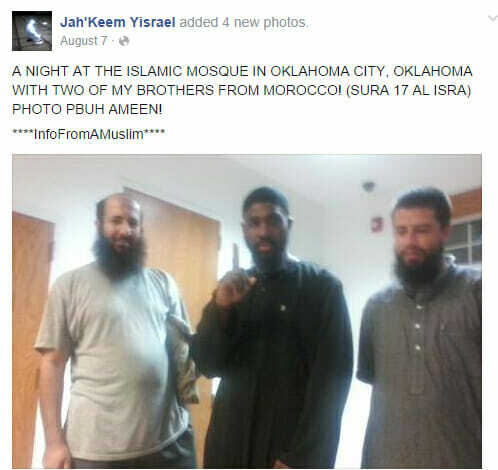 Alton Nolen was “shouting Islamic phrases” during the bloodbath. Barack Obama sent a special note of praise to the Oklahoma mosque after the beheading. Oklahoma Muslims marked the end of the yearly pilgrimage to mecca with communal prayer and celebration called Eid Ul-Adha on Saturday.